For some time I have wanted to complete the gardens around the cottages. 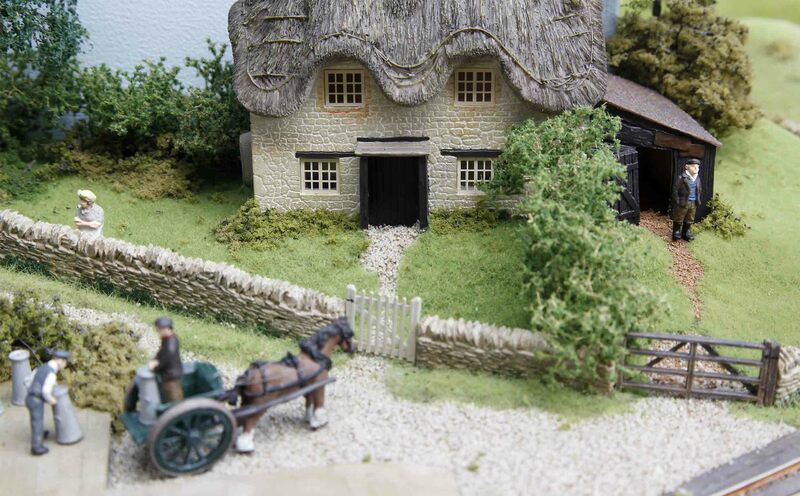 I had intended to add colourful flowers and beehives to create picturesque cottage gardens. When I looked at it more carefully I realised that the colours would draw the viewers eye straight to the gardens… and away from the trains. 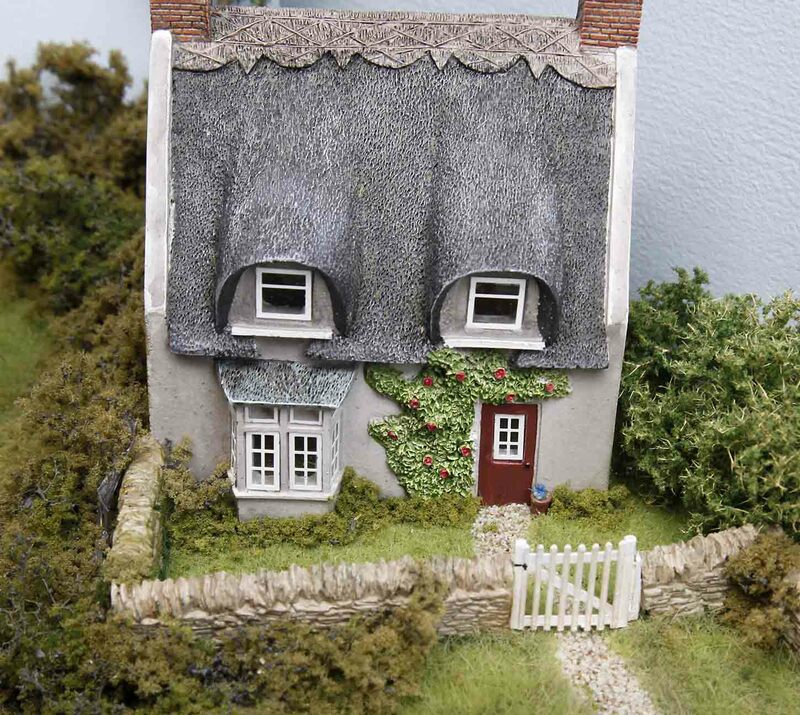 So I decided to take a more understated approach and use green bushes and foliage to blend the cottages into the scenery. My only concession to colour is a flower pot, next to the door! I had intended this to be the last job on ‘First’. However, rummaging through my bits box I found a Langley Street Lamp. In the dark winter evenings the passengers will need some light to guide them to the station platform, won’t they?